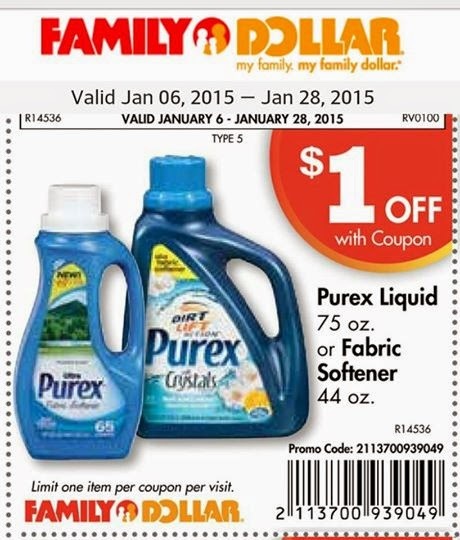 $1 off any (2) Purex liquid or UltraPacks detergent. Sizes must be 150oz or 54ct or larger. Read about what SavingStar is HERE if you're not already using this great app! I cash out between $10-$20 a month personally with it! Ready to sign up? Go HERE to create your account. You'll want to have all your store loyalty cards handy since the #'s are how they track which offers you redeem! Also, remember stores like Walmart and Target are eligible too, you just scan the products barcodes and then take a picture of your receipt!